An off-duty Coast Mountain bus driver says it was a bus ride he'll never forget, after seeing a stranger give the shoes off his feet to a barefoot passenger in Surrey, B.C. An off-duty Coast Mountain bus driver said it was a ride he'll never forget, after seeing a stranger give the shoes off his feet to a barefoot passenger in Surrey, B.C. 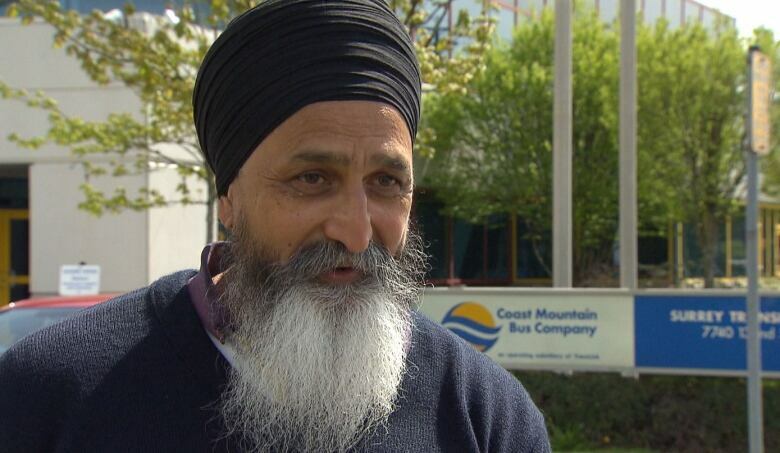 Surjit Singh Virk was using bus transit to get home from the Vasakhi parade last Saturday when he saw a man take off his shoes and slide them to another man who immediately started putting them on. He says it was cold and raining, but the Good Samaritan said, "Don't worry about me, I live close by." Virk says the man didn't want to take any credit. He just did the deed and got off the bus. It turns out the man, who wishes to remain anonymous, is a 27-year-old Surrey resident who volunteers at the local mosque. He says good deeds like this are part of his Islamic faith. The B.C. Muslim Association's Aasim Rashid describes him as "a nice quiet gentleman who is a practising Muslim." "Actions always speak louder than words," Rashid points out. "It's easy to sit on the pulpit and preach about doing good things, but sometimes one kind gesture like this has a greater impact." Virk says it was a pure act of kindness. "I think he didn't want anybody to see him doing it," he said. "He was simply doing it without anybody knowing it, but I happened to be sitting at the right place at the right moment, and I grabbed the moment." The story is similar to one in Winnipeg two years ago, when a bus driver gave the shoes off his feet to a passenger in need. Virk hopes the publicity in this story inspires others to be kind.